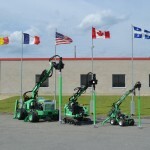 Installation Equipment - Techno Pieux Inc. 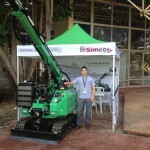 The mechanical engineering department designs and manufactures equipment for the installation of piles. 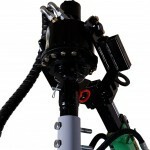 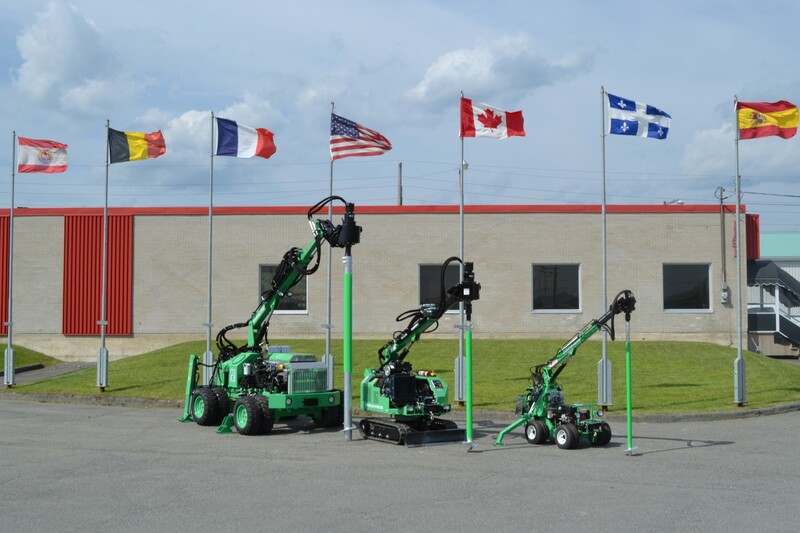 Three models of installation machines, as well as several custom systems, are available. 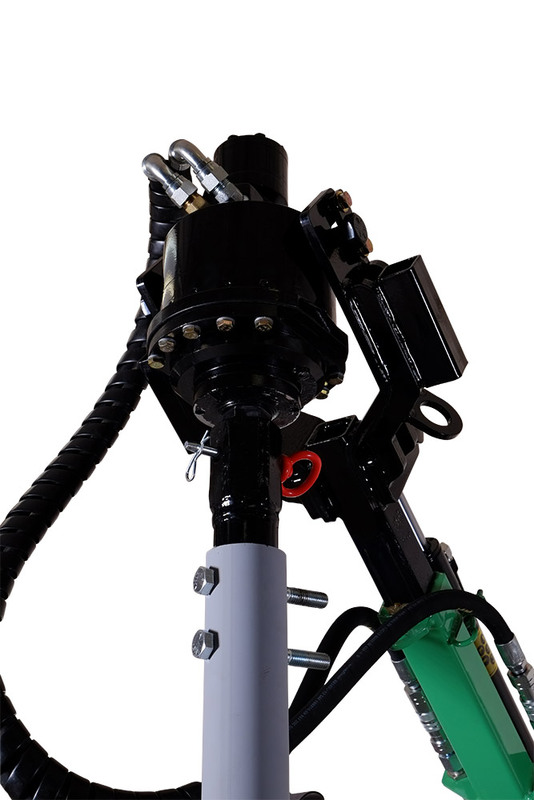 Our limit is your imagination: we can produce parts and machinery tailored to meet your objectives. 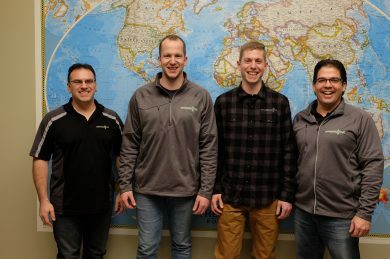 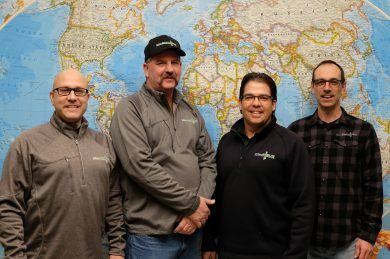 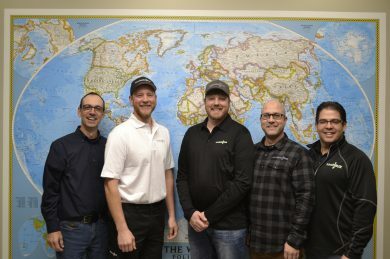 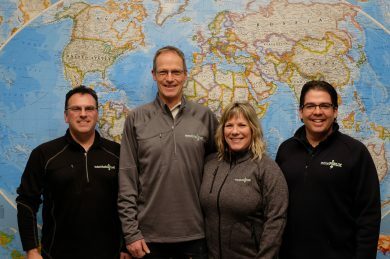 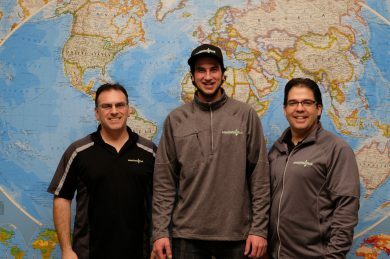 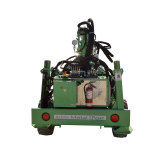 Every year, we respond to a great number of specific requests from our certified installers. 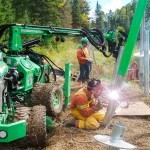 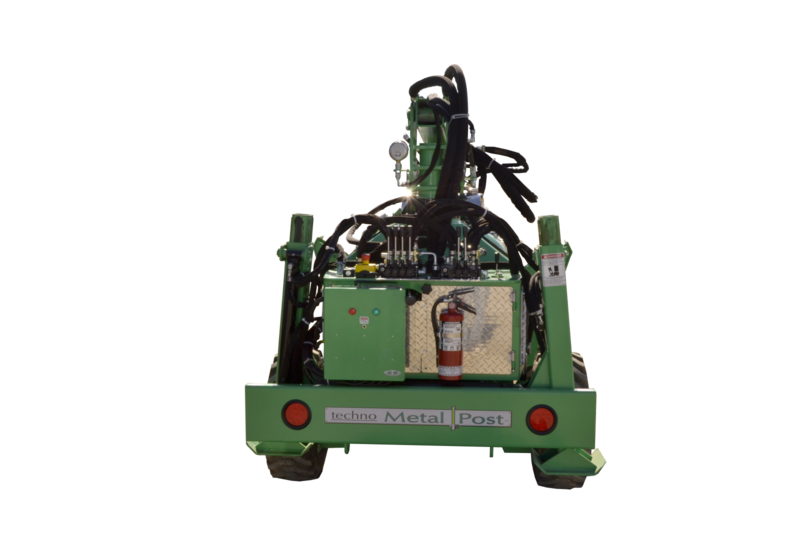 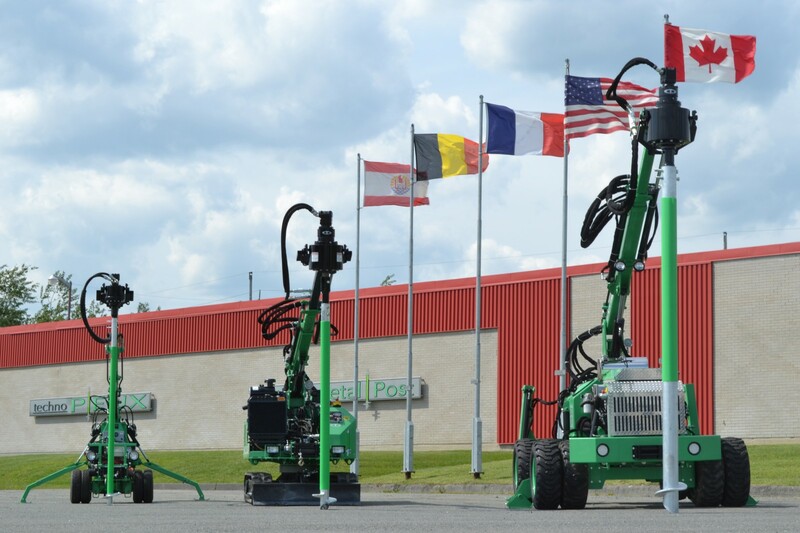 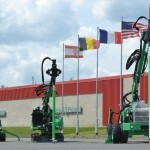 See what Paul Lafrance has to say about the Techno Metal Post installation equipment. 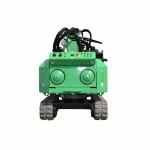 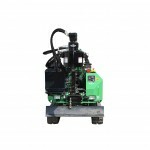 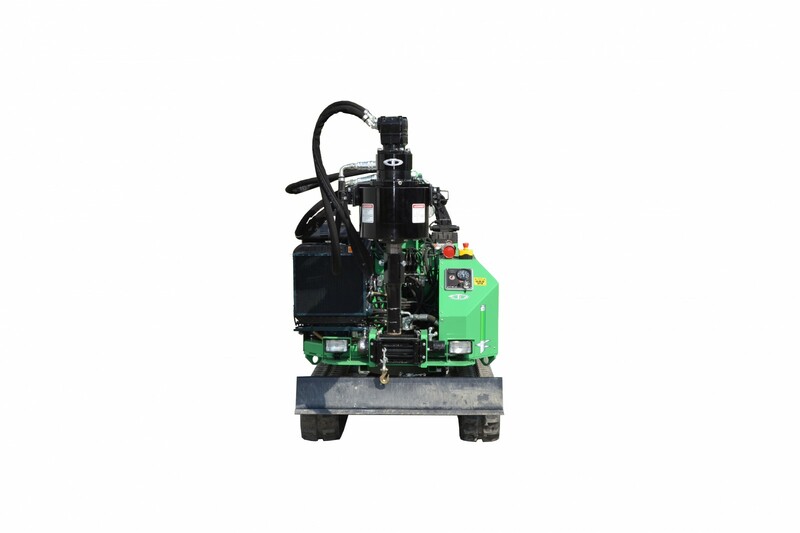 Our smallest installation machine for this product line. 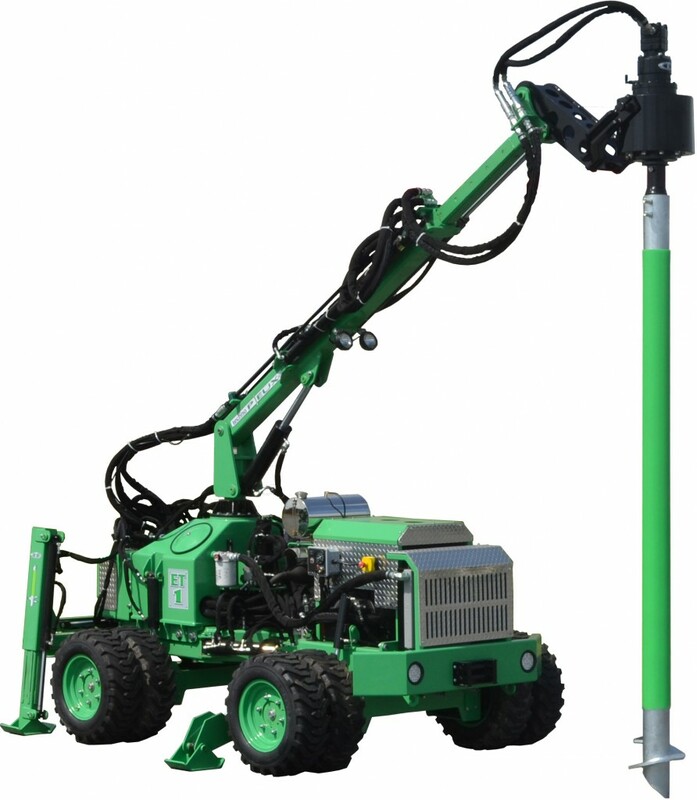 It can install piles anywhere. 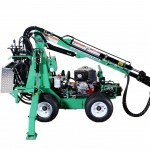 Despite its small size allowing it to fit through a door frame, this machine is extremely powerful. 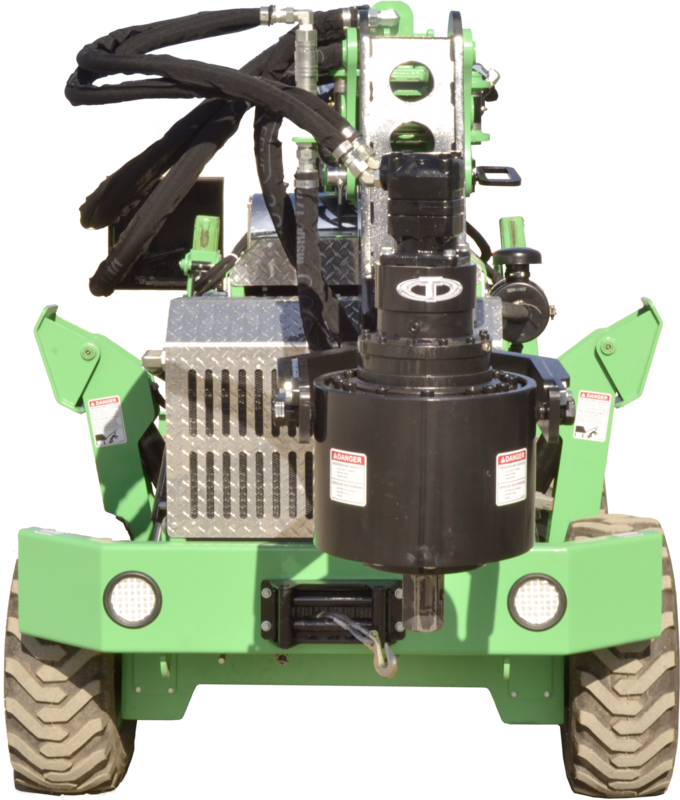 Our mid-range model is able to provide more power than the R2, when needed. 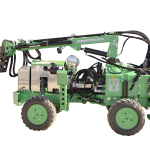 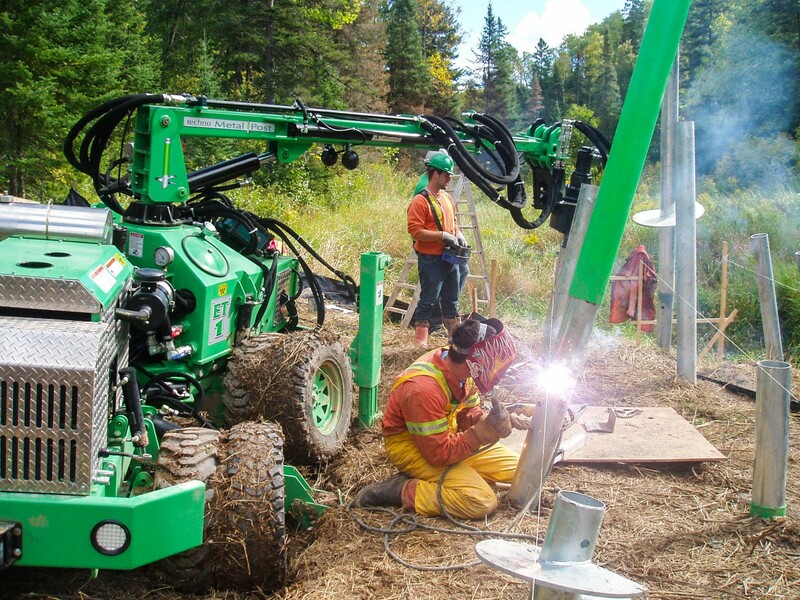 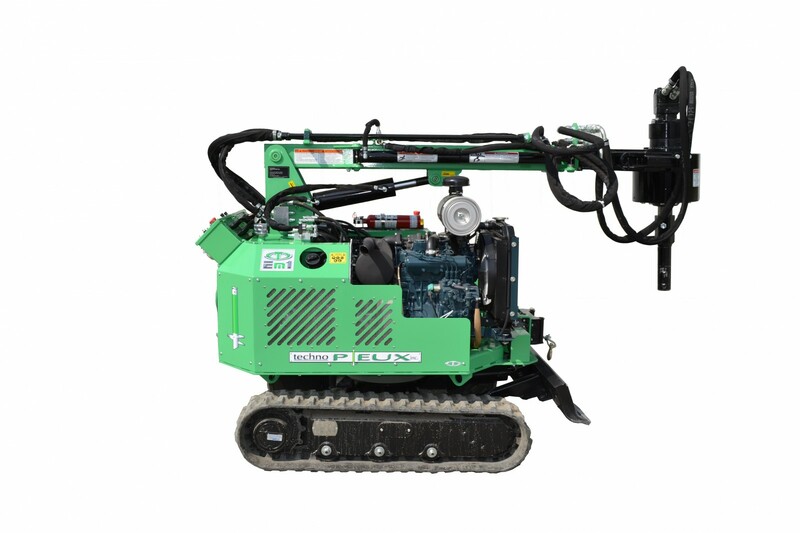 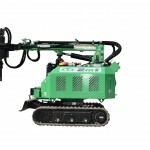 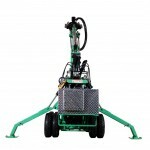 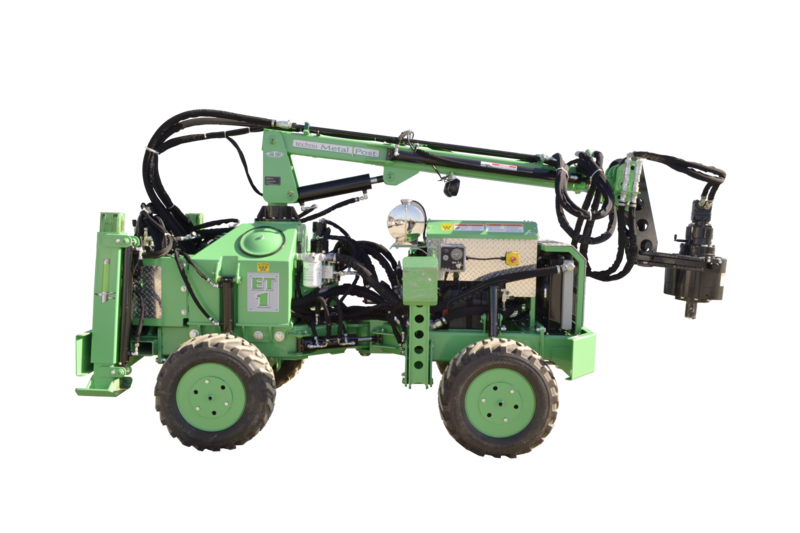 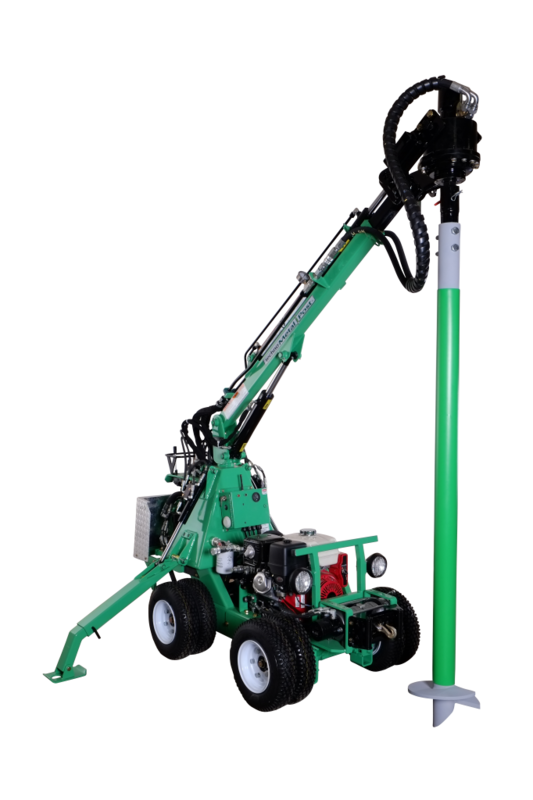 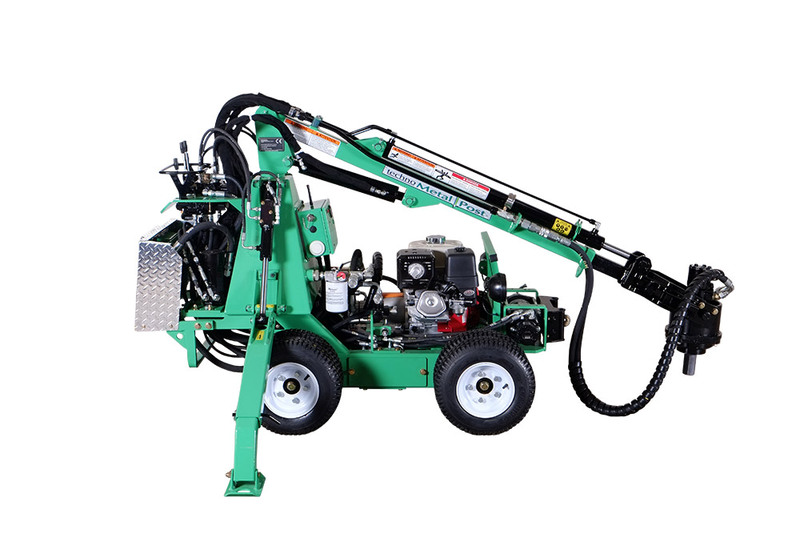 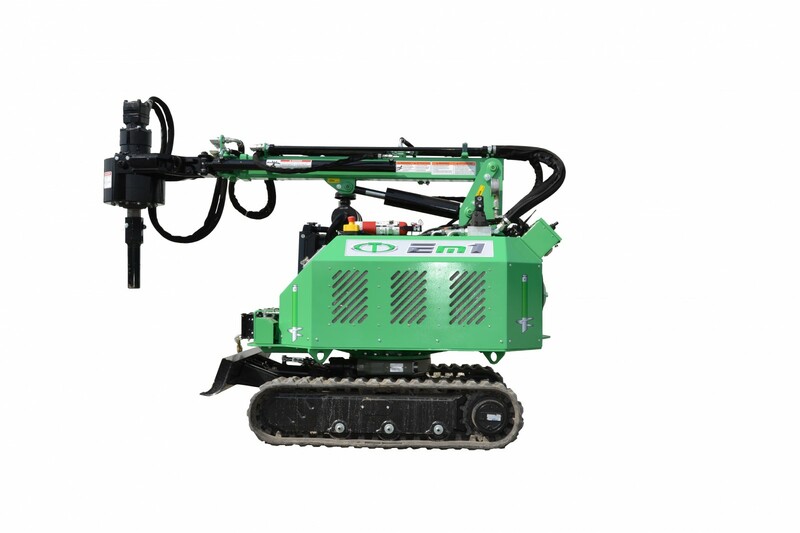 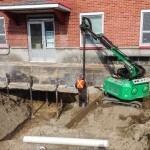 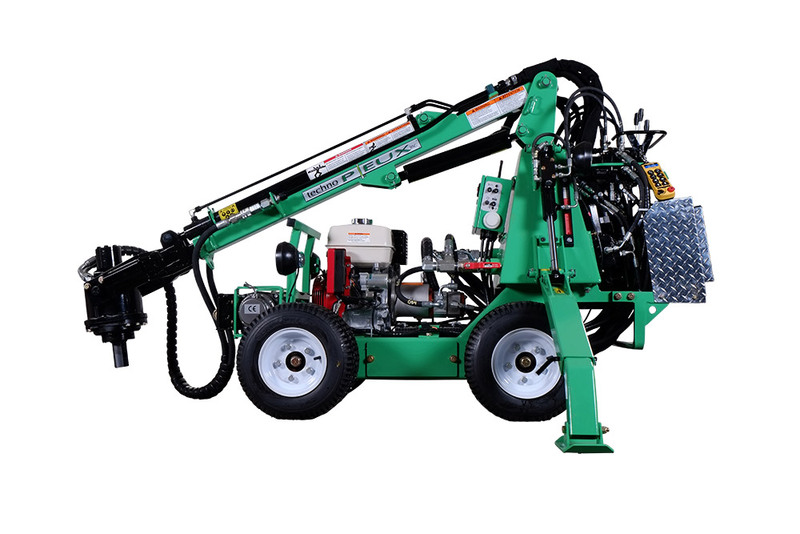 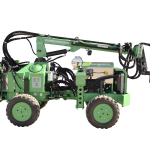 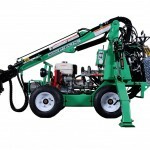 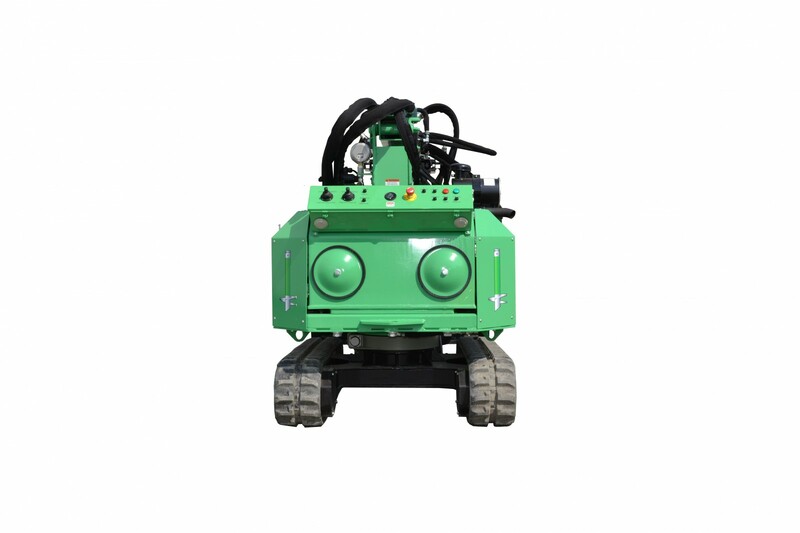 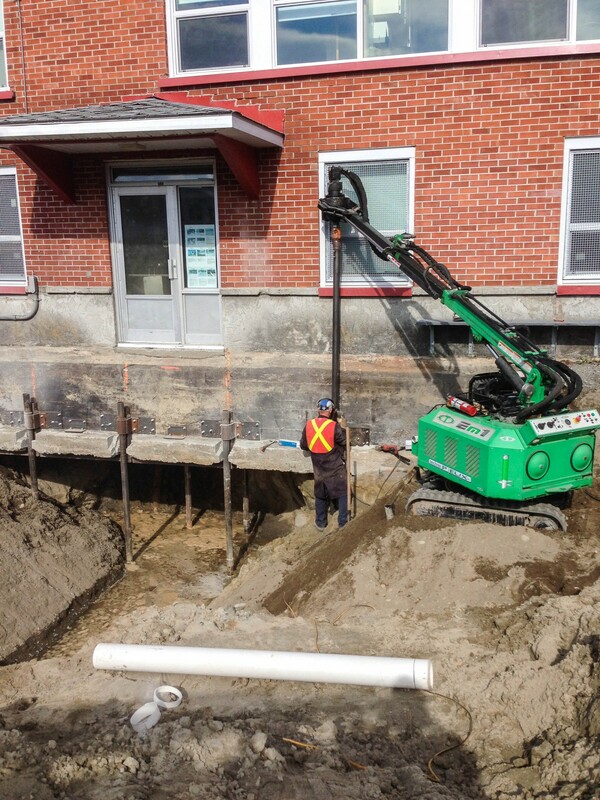 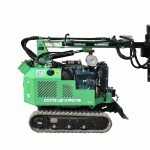 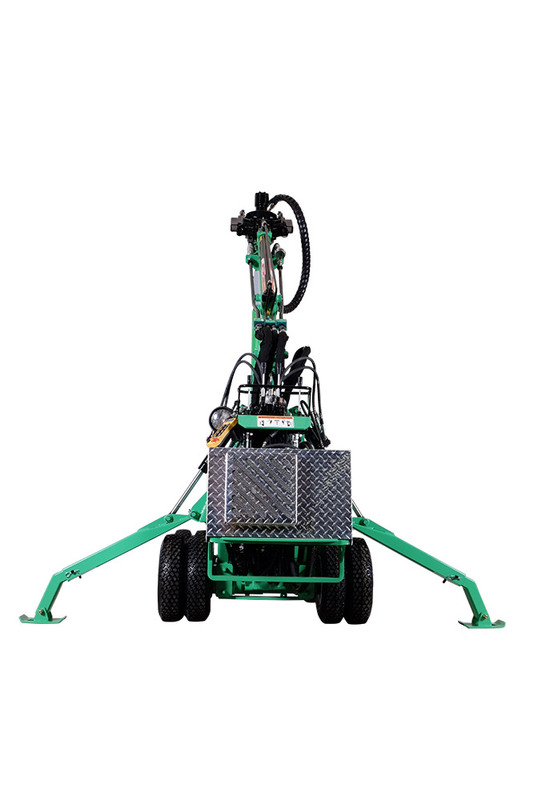 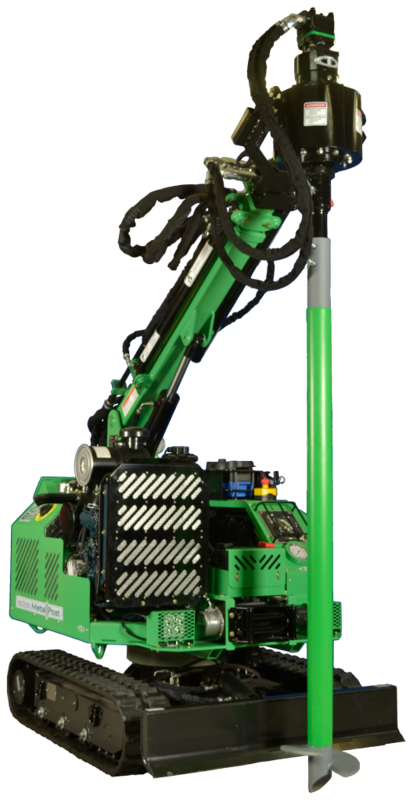 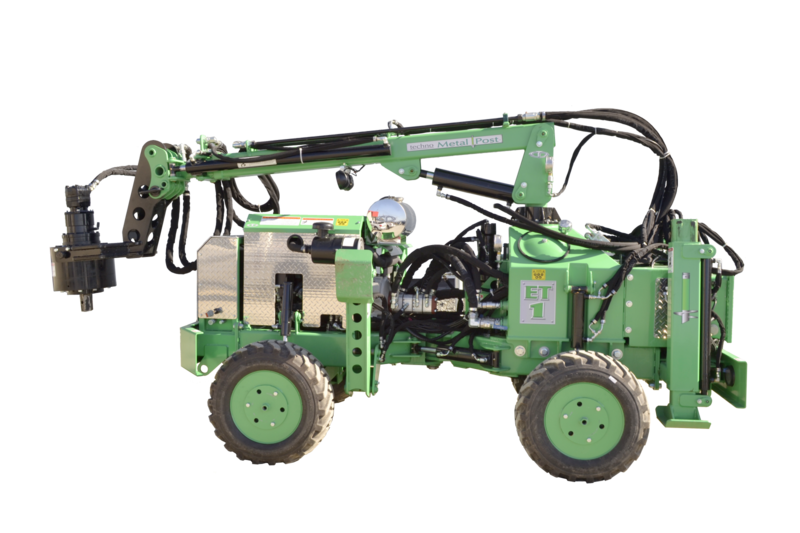 This machine can easily go on sites and complete the installation of helical piles faster and more accurately than any other machine on the market. 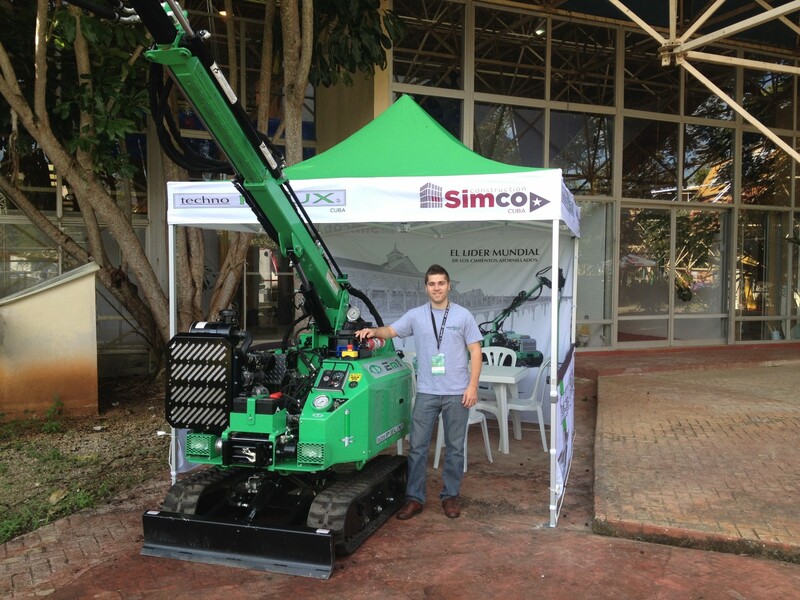 Our heavy-duty model for industrial projects. 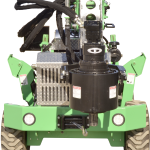 When our engineers ask for piles of larger diameter with a greater bearing capacity, the ET‑1 is up to the task.